Even if you don’t see all the temples or pagodas in Hanoi, one thing you can’t miss is the Hoan Kiem Lake – it’s right in the centre of the historical centre of Hanoi. It is one of the scenic spots in the city. 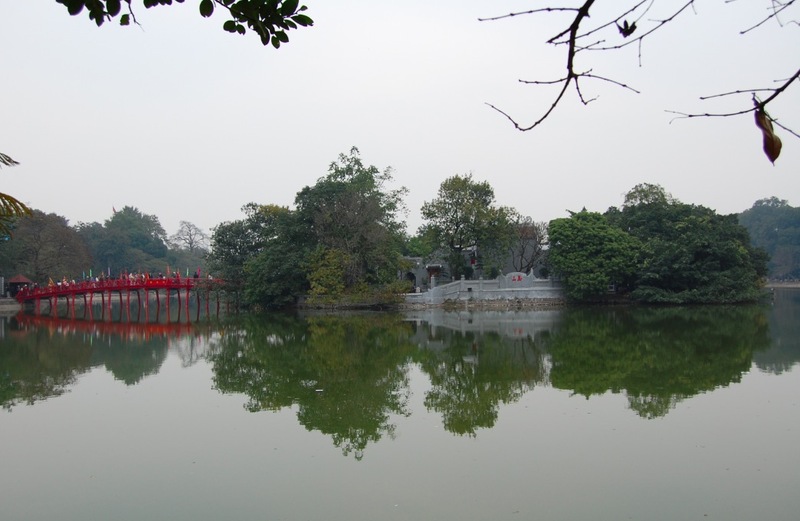 The Hoan Kiem Lake was once a part of the Red river, but through thousands of years of changes in the geography, the lake moved to its present position far away from the river. Near the northern shore of the lake sits the Temple of the Jade Mountain (Ngoc Son Temple) on Jade island (which you can visit to see a mummified turtle). The temple was erected in the 18th century, honouring a 13th-century military leader. Jade Island is connected to the shore by the red-painted wood bridge that’s called The Huc meaning “Morning Sunlight Bridge”. 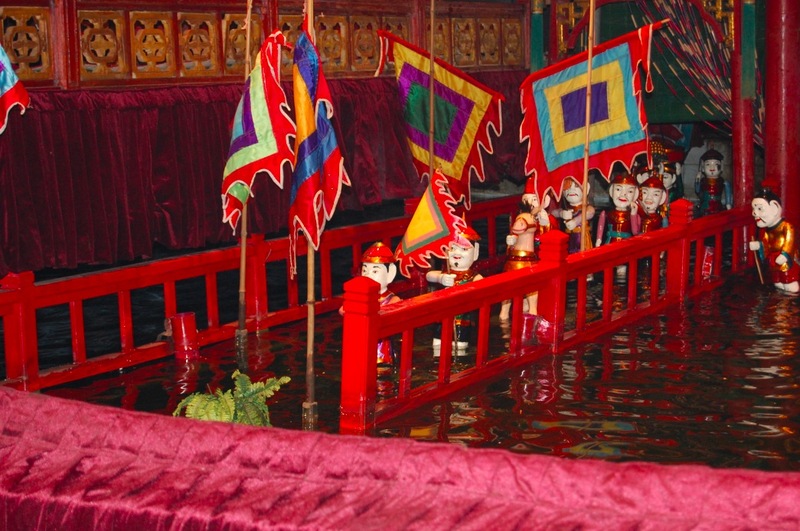 The legend of King Le Loi and his magical sword by the gods, is also replayed at the Water Puppet Theater – which is very unique to Hanoi. If you’ve never seen it, you should go and see it at least once! 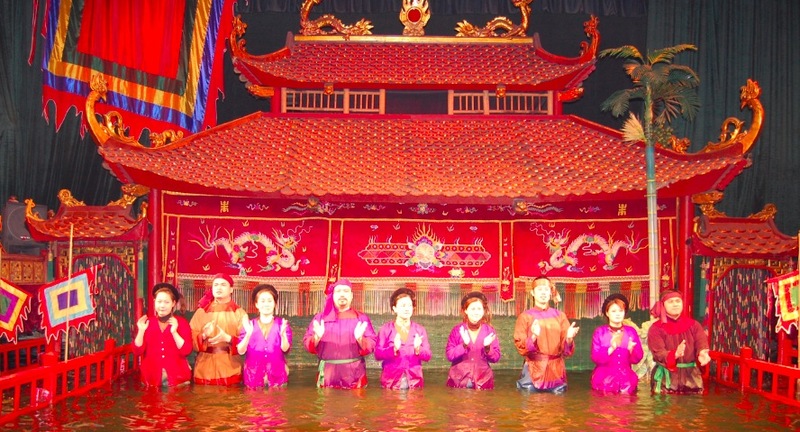 Located at 57B, Dinh Tien Hoang street, the Thang Long Water Puppet Theater has been performing historical legends and folk tales for many years, in its current form it operates since 1990. 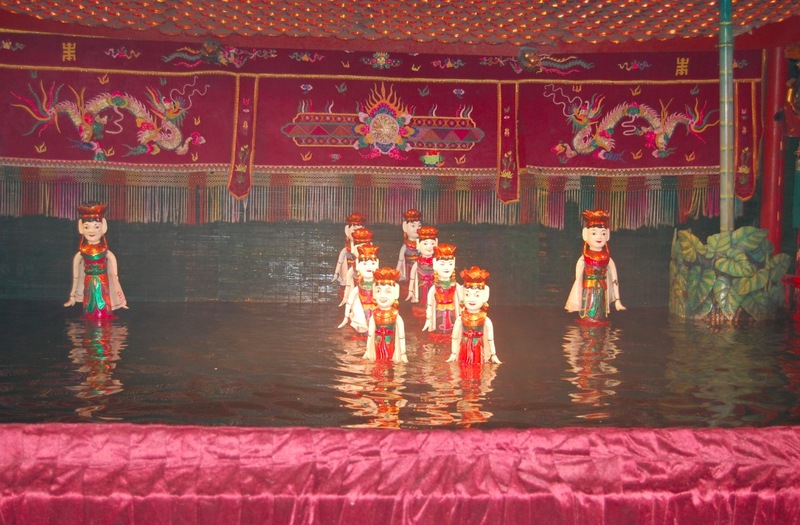 As the name says, the puppets are in the water, so the people have to stand in the water themselves (behind a curtain) to manoeuvre them – it’s not as easy as it looks! 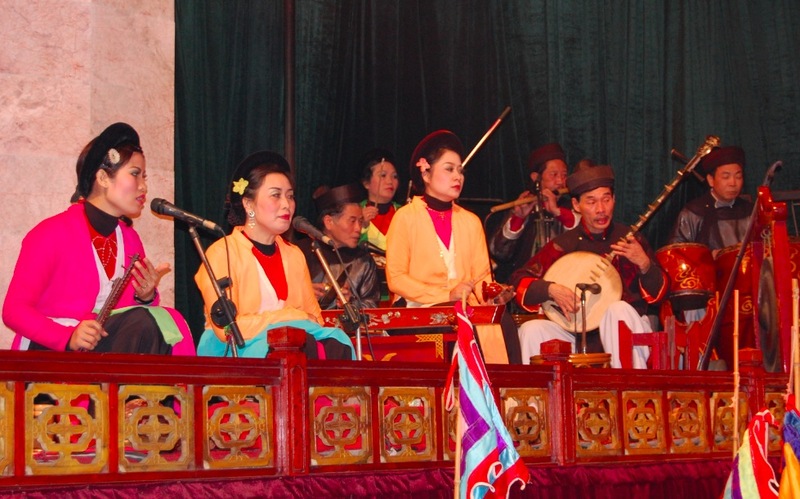 The performances are given by a troupe of talented actors and accompanied by a traditional Vietnamese pit orchestra and they run several times on most days. Find out more here. 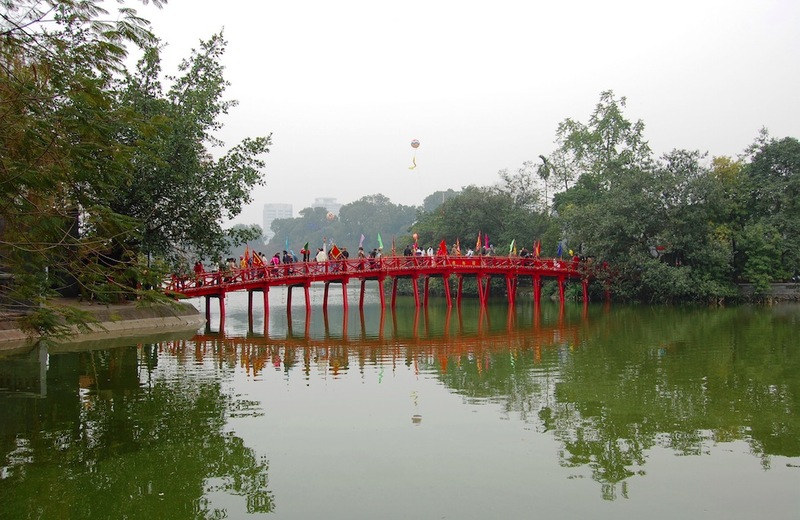 Lovely water themed post to teach us more of the attractions of Hanoi. The giant turtle story of Hoan Kiem Lake sounds a little like the Loch Ness Monster :) ! 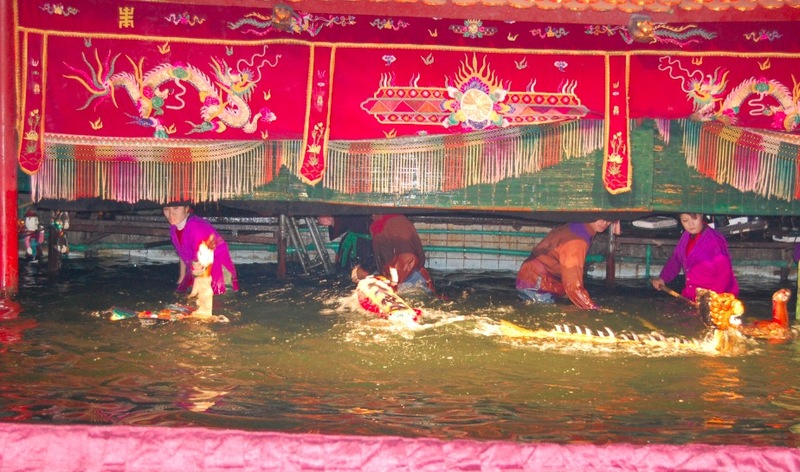 And am trying to think where in China there also is a water puppet theatre . . . .